The translation and localisation industry will see extensive growth over the next few years as more and more businesses of every size choose to expand their operations abroad. Forecasts suggest that the global translation industry could be worth an estimated $56 billion by 2021, with a number of emerging technologies and trends helping to fuel that growth. Here are five of the translation trends we expect to drive the translation and localisation service industry over the next year. Artificial intelligence (AI) is becoming more mainstream and influencing a much wider range of business functions. AI in translation is nothing new, but it is expected to grow rapidly over the next year. One of the main advantages of AI in translation is its ability to understand linguistic nuances that other forms of machine translation might miss. Website chatbots that are available in limitless languages is one area where we expect to see significant growth. The power of video online is indisputable, with 80 percent of all the online content posted in 2019 expected to be in the form of videos. When businesses have invested in producing high-quality videos, many will quite rightly choose to use localisation services to make sure those videos are seen by customers and clients in as many of their target markets as possible. At Linguistica International, we’re not the biggest fans of machine translation when used as a standalone translation tool, simply because the results are not of the quality you’d want to put in front of customers and clients. However, we’re the first to admit that when it’s combined human editing and proofreading, machine translation does have its place. If you have a significant number of translations, such as product descriptions, that you want to be performed quickly, and a limited budget, combining the two can represent a viable solution. Over the next year, we expect to see a rise in the use of neural machine translation, which uses network-based technology to produce more contextually accurate translations. That, combined with a human editor, can create accurate, culturally relevant translations. Research from the Institute of Export and International Trade has found that more businesses are seeking expansion opportunities overseas than ever before. Selling to EU countries remains the most popular trade route for UK businesses (we’ll see whether that changes over the next year or two), but China, India, Indonesia and Vietnam are also proving to be popular markets in 2019. Computer-assisted translation – We create a database that keeps track of repeated phrases, sentences and industry-specific terms so human translators know exactly how to translate those words. Automating part of the process in this way saves time and reduces a business’s costs. Cloud collaboration – Collaborating on the cloud ensures the individual elements of a project move much more quickly and seamlessly than they would via email. Internationalisation – Internationalisation is the process of producing software and applications in a way that simplifies localisation for foreign markets. That can save businesses significant time and money further down the line. We can cater for all your translation, localisation, copywriting and proofreading requirements in more than 200 languages. All of the work is completed by native speaking professional translators with more than five years’ experience. Join the likes of Orange, Manchester United and Santander and partner with Linguistica International in 2019. Nothing stays the same; everything must change. Nowhere is that truer than in the rapidly evolving world of SEO. Research shows that websites on the first page of Google receive 95 percent of the clicks for the search term the user entered. The higher up the results your website appears, the more clicks and traffic you’ll receive. The trouble with SEO is that it’s an extremely fast-changing discipline. Google can, and does, change what it thinks makes a ‘good’ website on a whim, and if you’re not meeting those new parameters, your once high-flying website could be banished to the bottom of the pile, leaving you with no traffic, no enquiries and no friends ☹. So, to keep you up to date with Google’s latest whimsies, we’ve produced this guide to multilingual SEO in 2019. No matter what language you’re operating in, in-depth keyword research is the foundation of every visible website. You need to know exactly what terms consumers in your target market use to search online for the products or services you offer. Simply translating the keyword research you have done for your original site will not do. Even countries that speak the same language can use different terms to describe the same things. As a quick example, a website optimised for the term ‘flip flops’ might do brilliantly in the UK, but use the same term in Australia, where they’re called ‘thongs’, or New Zealand, where they’re known as ‘jandals’, and you’ll receive very little traffic at all. Google might call the shots in most of the world, but there are a number of exceptions, perhaps most notably in China, where other search engines are on top. If you’re creating a website for the Chinese market, then you must take the time to understand the SEO requirements to rank well on Baidu. Similarly, in Russia, it’s Yandex’s boxes that you need to tick. Fail to customise your SEO accordingly and you’ll be left behind. SEO experts expect voice search to be a big deal in 2019. To futureproof your site, you should consider optimising your site for voice search in the languages spoken by your target markets now. There’s nothing new about mobile search, and if your website isn’t already optimised for users on mobile phones, you’re missing out on a huge proportion of the market. In the US, 41 percent of all web traffic comes from mobile phones. In Asia, that jumps to 65 percent. Talk to your website design team about responsive design, which will ensure that your website works just as well on small screens as it does on desktop computers and tablets. 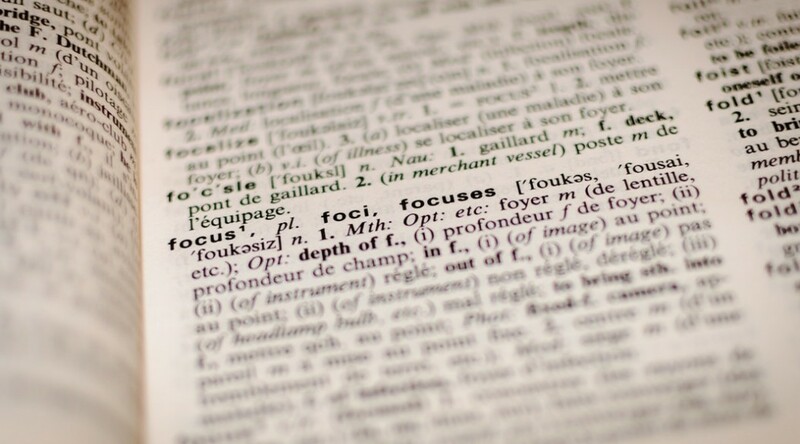 A big part of your multilingual SEO strategy should be to look at the technical elements of your site. It’s important that you signal to Google that you have multilingual versions of the same website. The best way to do that is to use different URLs for every version of the site. It’s also important that you use hreflang tags correctly to send people to content in their own language. At Linguistica International, our translation, transcreation and copywriting services help you optimise your website for all the languages you want to do business in. Give us a call on 02392 987 765 or email info@linguistica-international.com to discuss your project. When it comes to translating your website, articles, product descriptions, brochures, marketing content and other assets destined for overseas customers, there are a number of avenues open to you. But not all of your business translation options are equal. In this quick guide, we’re going to run through the different translation solutions that are available and look at the pros and cons of each. If you’re lucky enough to have a bilingual employee in your team who is a native speaker of your target language, it makes sense to harness their talents to produce your overseas content, doesn’t it? Well, yes and no. You’re paying them anyway, so the translations they produce will certainly be cost-effective. However, translation is a specialised skill. Just because someone speaks the language, it doesn’t mean that they’ll have the writing skills, cultural fluency or grammatical accuracy to render the source text effectively. If you really need the translated document to read well, only a professional translator will do. Why not just get Google Translate on the case? It’s fast, it’s free – what more do you need? As you can see from the previous blogs we’ve written (Google Translate vs. Human Translator and Google Actively Penalises Machine Translations), Google Translate is certainly not a cure-all for professional business translations. Far from it, in fact. While it might just help travellers communicate with people overseas, it’s nowhere near accurate enough to produce the sort of translations that you’d want to represent your business. If you want to create a business translation on a really tight budget, you may choose to use a machine translation initially, but you absolutely must have it proofread and edited by a professional translator. Could you use the power of crowdsourcing to create a reliable and accurate business translation? If you already have a large community of users, you may consider harnessing their talents to create the translations on your behalf. There are certain benefits associated with this approach, as it can increase engagement with your users and help to build a global community – but most importantly, it’s cheap. In reality, though, the complications usually far outweigh the benefits. The first challenge you’ll have to overcome is how you’ll organise and manage your team of volunteers. You’ll also have to think about quality control and how you’ll ensure the translations are accurate and reflect well on your brand. Crowdsourcing also deprives you of a relationship with a professional translator who will take the time to understand your brand, get to know your story and has the finesse to communicate your message to your target market overseas. Quality control – How do you know the business translation they’ve produced is entirely accurate? Do you have staff in-house who can proofread it? If not, you’ll have to pay for an independent proofreader, too. Project management – You’ll still have to manage the translation project in-house, source and vet the translator, provide a detailed brief and liaise with the freelancer regularly. Amendments – Translated documents often need to be redesigned to accommodate changes in format, script and text length. You will have to go back to the freelancer for every change, which will add to the costs and delay your project. Accountability – At Linguistica International, we assign a project manager to every business translation. They are your first point of contact and are responsible for keeping every project on track. Technology – We have access to translation technology that makes it easier to manage projects and that stores translation memories that are relevant to your particular industry and sector. This makes the translation process more accurate and efficient to reduce your costs. Quality control – We have consistent quality control procedures in place and every piece of copy is checked by the original translator, the project manager and a professional proofreader before it’s released. Data security – We adhere to the latest secure data handling practices to protect your business and your customers. Other services – As well as like-for-like translations, we can transcreate your documents to account for cultural differences and write original marketing copy to appeal to unique target markets. Get in touch to discuss your business translation project. Call 02392 987 765 or email info@linguistica-international.com. E-commerce in the UK is an unrivalled success story. Much to the ire of the high street retailers, the domestic e-commerce market is the largest of any country in the EU. British consumers shop more often and spend more than any others in Europe, with 86 percent of internet browsers making at least one online purchase in 2017. Unfortunately, a little-known phenomenon called Brexit could be the potential stumbling block that threatens to bring the e-commerce success story to a shuddering halt. What will Brexit mean for domestic e-retailers? That’s undoubtedly a question that will have crossed the minds of e-commerce operators across the UK. You’ve worked your backsides off to create a successful and profitable e-commerce business. You’ve risen to the top of the search engines, have received endless positive reviews and established yourself as a trusted retailer. Now, something you have no control over threatens to undo all your hard work. Will Brexit affect your sales overseas? Will you have to comply with new regulations? Will UK shoppers buy more goods from domestic sellers? These are all very good questions. Unfortunately, with the ongoing Brexit turmoil, we don’t have solid answers for you as of yet. However, what we do have is opinions and predictions from the experts at the European eCommerce and Omni-Channel Trade Association (EMOTA) to hopefully bring you some peace of mind. EMOTA is the European federation that represents online retail across Europe. We asked EMOTA a few questions about the potential implications of Brexit for cross-border e-commerce and sales within the UK. What does a no-deal Brexit mean for online sellers? Currently, a no-deal or ‘hard Brexit’ seems like the most likely scenario. In that instance, we expect to see serious disruptions in cross-channel trade as all products have to pass customs, product conformity procedures and other potential hurdles. The likelihood is that it will cause long delays for customers who are waiting for their parcels to be delivered. More problematic still is likely to be the issue of returns. With return rates of up to 50 percent in some product categories, the likely delays could lead to dissatisfied customers and a serious downturn in sales. What are the implications for cross-border e-commerce in Europe? In the months following the EU referendum, many UK online retailers actually saw an increase in sales as a result of the falling pound against other major currencies. However, according to the IMRG MetaPack Delivery Index, there was a slowdown in online sales towards the end of last year, with delivery volumes lower than forecasted. The trouble is that if shoppers are looking for the lowest price, UK retailers will always lose out to China. Moreover, EU shoppers also have to pay customs duties on goods from the UK, and in some competitive product categories such as clothing, these fees can be high. That can negate savings that EU customers might have made due to the weakening of the pound. Which regulations will be affected? Many important pieces of EU legislation affect cross-border e-commerce, including the recent GDPR rules, the Consumer Rights Directive, cross-border parcel delivery, a directive banning geo-blocking and more. The UK will not change EU laws that have been accepted and made into national laws, which will make life easier for UK e-commerce businesses. Over time, it may also be the case that domestic legislation is introduced that will be advantageous to British firms. What are the biggest challenges facing online retailers? The biggest challenges facing UK e-retailers in a post-Brexit world are undoubtedly the duty and delivery issues. While larger operators will be able to solve this problem by opening fulfilment centres in Europe, smaller operators will struggle until the terms of Brexit are ironed out and it’s business as usual once again. At Linguistica International, we are dedicated to helping British businesses trade overseas, whatever the future brings. Call 02392 987 765 or email info@linguistica-international.com to discuss your translation, transcreation, copywriting, proofreading or telephone interpreting requirements. English has long been the lingua franca on the web, but as more and more of the world’s population go online, that dominance is diminishing. The proportion of online content in English has shrunk to around 30 percent, while Chinese, Spanish, German and French content is increasing. In fact, between 2000 and 2010, Chinese content grew by a whopping 1,277 percent. But that’s not the growth area we’re interested in. 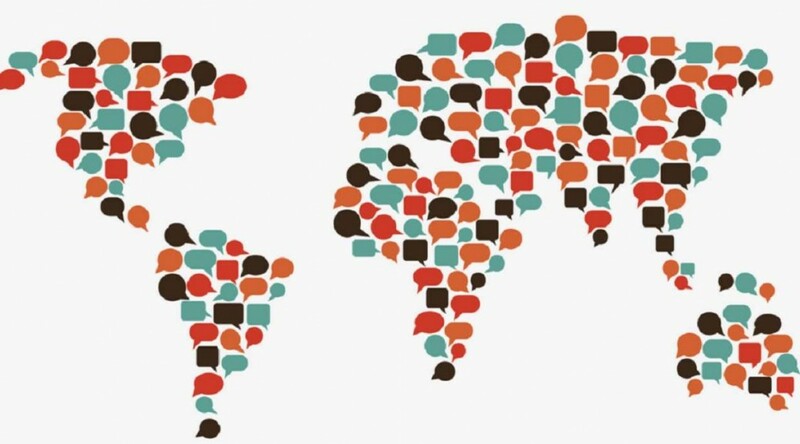 With global populations increasingly participating online, new audiences are being created who do not speak the 10 most commonly used languages. This is creating an opportunity for what marketers like to call ‘quick wins’. Every day, around a million people go online for the first time ever. Much of the English-speaking market is already online, which means that many of those new browsers are minority language speakers. 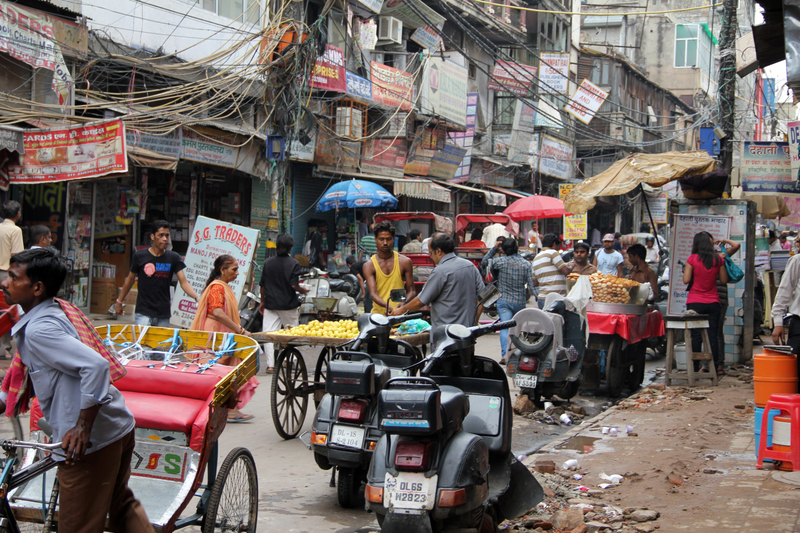 The Indian market is a prime example. In India, a mind-blowing 450 languages are spoken across the country. Although all of those languages are not spoken by an equal proportion of the population, they still represent an opportunity for astute online businesses that are willing to cater for their linguistic needs. In India, Netflix offers its content in English and Hindi, which are the country’s two most commonly spoken languages. However, local competitors have been able to steal customers away by offering their services in languages such as Tamil and Kannada. Although they are considered to be minority languages, they are still spoken by tens of millions of people. One of the main benefits of targeting speakers of minority languages online is that very little competition exists. The online market in English-speaking countries is saturated with websites that already target those consumers, which makes it time-consuming and costly to produce content that will be able to compete. In much less established online marketplaces, you could create a native language website that jumps straight to the top of the search engine rankings for your key terms and generates traffic instantly. However, that’s not to say there aren’t also challenges associated with this approach. These new audiences are likely to be novice internet users, which means that their specific needs can be hard to cater for. They may also be based in countries that are difficult to reach in terms of getting your products to their door. For example, in Iran, there are year-on-year internet growth rates of over 130 percent, but trading in such a market could be tremendously complex. Despite the costs and complexities associated with targeting minority language markets, for those businesses that are willing to take the risk, the rewards could be huge. The key is to cater for the target market by using native-language content that’s culturally appropriate and engaging, which is precisely where we can help. At Linguistica International, we can translate and transcreate your existing copy into minority languages, or use our copywriting service to create original content that grabs the attention of your target market. Call 02392 987 765 or email info@linguistica-international.com to discuss your requirements with our team. The digital revolution has led many businesses to turn their back on the tried and tested offline marketing techniques they once relied on in favour of online campaigns. While spending on newspaper and magazine advertisements, brochures and events has fallen, the amount earmarked for social media, pay-per-click, SEO and email marketing has soared. But offline marketing is still a contender. For companies looking to go global, international trade shows can be an excellent way to raise your profile and create brand awareness in a new market. One of the key benefits of trade shows is that they are usually industry-specific, so you can exhibit your wares directly to your target market. The result can be new leads and direct sales opportunities. But getting ready for the big day requires a lot of work, particularly when you’re going to be exhibiting to some of the industry’s leading lights. Here’s how we think you should prepare. As soon as your place at the tradeshow is confirmed, you need to think about getting assets like display stands, banners and brochures ready. You don’t need us to tell you that turning up with your straplines and core messages in the wrong language is probably not going to get you very far. Where possible, you need to localise your display stand to meet the preferences of your target market. This includes the translation of everything from audiovisual content to messages displayed on video walls, LCD screens and any other tech you have for the event. Digital content should also be translated and localised ready for the show. Interactive tablets are often used by exhibitors at international trade shows to help customers learn more about the products and services on offer. Language options should be provided so the audience can access content in a way that suits them. The next job is to make sure any take-away information you have is translated and localised for international customers. It doesn’t have to be quite as big a job as it may sound. For example, it could be that you give out your business card as a way for interested parties to get in touch. In that case, it’s useful to have your job title translated and ensure contact information is presented in the right way. Don’t assume that customers will know how to add the correct country code to your phone number to get in touch. Your display stand and print materials will now look the part, but when interested customers ask you about the products and services on offer, you could have a problem. Thinking about how you will communicate face-to-face with international customers before an event of this kind is essential. If you have speakers of the target language in your team then make sure you take them along. If you don’t then the fact that so many people speak at least a little English and your marketing materials have been translated will certainly help, but at least learn a few greetings and key phrases in the target language to show that you’ve made the effort. If you operate in a technical industry, it could also be worthwhile hiring an interpreter for the day with specific experience in your sector. Their knowledge of the key concepts and terminology in the local language could be invaluable. 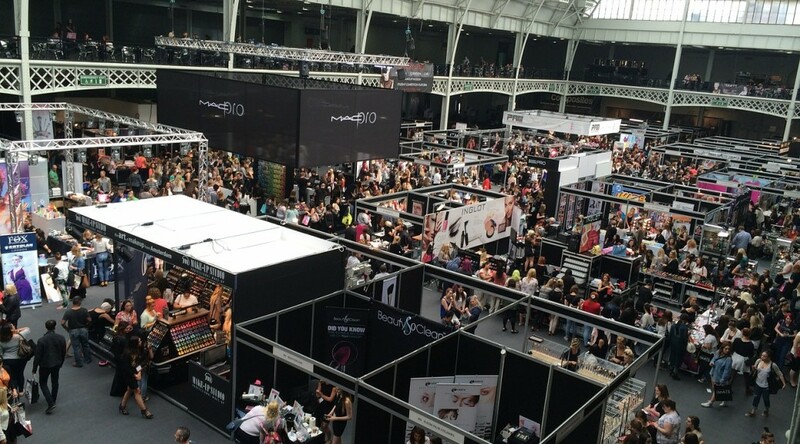 Before the big day, you should think about how you’re going to promote your appearance at the event and book meetings ahead of the show. Creating a localised landing page on your website that targets event specific keywords could be a good start. It should include details of the event, the location of your stand and a booking form, all translated into the target language of course. Social media updates and email marketing campaigns can also be used to engage customers before the show. Your final consideration is how you’ll follow up with any new contacts you make at the show. Will you use email to follow up with leads, in which case, will you need a translator? Perhaps a phone call would be more appropriate, and if so, will you need a telephone interpreter so you can discuss the customers’ requirements? At Linguistica International, our professional translation, transcreation and telephone interpreting services will get you ready for international trade shows. Just call 02392 987 765 or email info@linguistica-international.com for expert assistance from our team. As a translation agency, we hope you’ll forgive us for spending much of our time discussing the importance of talking to your customers in their native language. 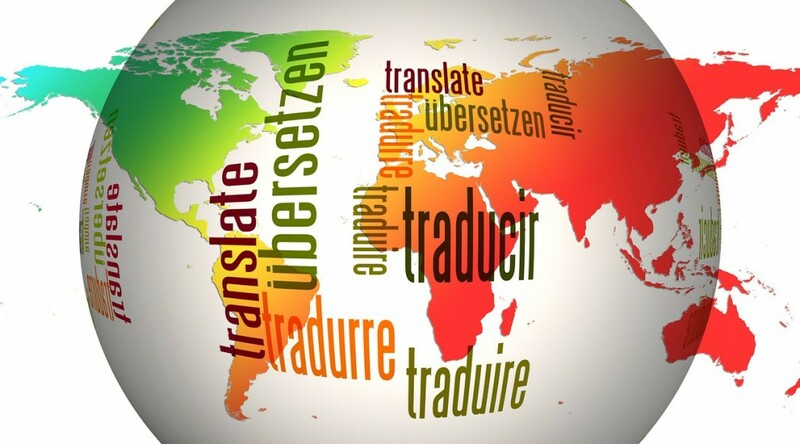 Professional translation is just one of several elements in the localisation process. When selling overseas, there’s much more to consider than simply getting the wording of your website or marketing content right. 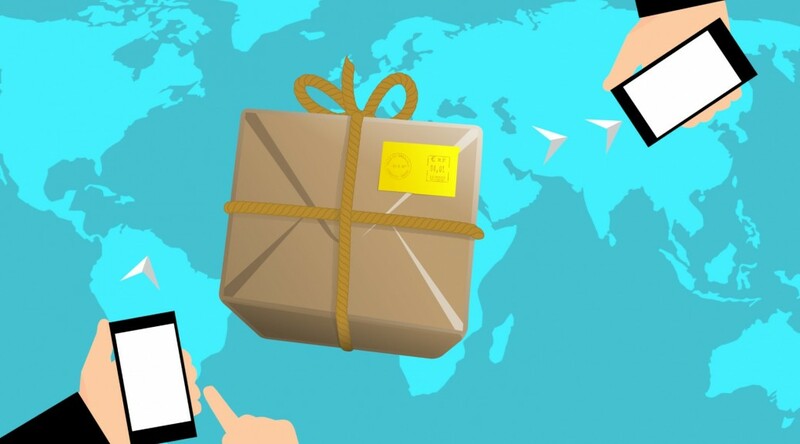 But two elements of the localisation process that can be left behind is the provision of a range of international shipping options and being sensitive to local payment preferences. You can overcome this final localisation hurdle by researching the best shipping carriers in each market and giving your customers plenty of choice about how they want to pay. Where you’ll ship to –Your first consideration is to think about where in the world you’ll ship to. Your website’s analytics are an excellent way to gauge the level of interest from overseas markets, as are direct requests to sell to those markets. You should also think about which non-domestic markets will be a good fit for your business and the costs involved in shipping to those countries. Shipping rules and regulations – Understanding the country-based shipping rules and regulations should be a key part of your international shipping strategy. They will help you manage your customers’ expectations and determine how long shipping is likely to take and the costs involved. You should then update your website to make sure the costs and delivery times are clear. You should also think carefully about the packaging. You may need to add extra padding or choose more robust packaging options when sending products abroad. The returns process – Returns are becoming an important part of online retail, with customers often ordering more products than they need and expecting to be able to return the items they don’t want for free. Third-party fulfilment and returns management companies can help to reduce the logistical headaches involved, although you will have to carefully consider the associated costs. Forms of payment – Another essential localisation consideration is to think about how your overseas customers will pay. Preferred payment options differ around the globe, so you may need to expand the solutions you offer for new markets. For example, mobile wallets have become an extremely popular form of payment, particularly in markets like India. Pre-paid credit cards are also becoming more widespread, so it’s important that you take the time to understand how people like to pay overseas. Taxes and duties – It’s likely that every country you sell to will levy a tax on the goods sold. The most common tax is VAT, which is charged by most of Europe, China, India, Canada and much of South America and Africa. Before selling internationally, it’s essential you understand the VAT rules in that country and take the necessary steps to register and file your returns. Allowing customers to pay in their own currency – Just as customers like to buy products in their native language, they also value the comfort and convenience that comes from paying in their own currency. Only accepting pounds sterling (GBP) is the simplest approach – certainly in terms of settlement and accounting – but it could cost you customers. Choosing a payment gateway that allows foreign currency transfers could be a wise business decision. We offer an international localisation and transcreation service to engage overseas customers and compel them to act. Call 02392 987 765 or email info@linguistica-international.com to find out how we can help. Firstly, before we delve into why a multilingual email marketing campaign could be the driving force behind the expansion of your business this year, we’d like to wish all our readers a happy 2019! With the Christmas break over, business owners across the UK will be looking for new ways to take their business to the next level, and we think multilingual email marketing is a cost-effective way to provide the impetus you need. Every year, new technologies come along and transform the way we communicate with existing and potential customers, but email is still the most effective. A study by the ecommerce software firm Monetate found that 4.24 percent of visitors make a purchase due to email marketing, compared with 2.49 percent of visitors from search engines and just 0.59 percent from social media. The average value of an order from an email customer is also three times that of a social media visitor. So, while it might be old hat by modern standards, email marketing still pulls in the crowds. There are numerous benefits associated with multilingual email marketing when compared to other methods of communicating with an overseas audience. The cost is one of the most compelling benefits. Rather than spending money on pay-per-click adverts or sponsored posts on social media, you can create a single email that can be sent to thousands of potential new customers. The only cost you’ll have to consider is the creation of the email itself, including its translation into the target language. You may also have to think about how you’ll acquire the email addresses of prospective customers if that’s something you don’t have. Email marketing also provides a high level of conversions and gives you the certainty that your marketing messages are sure to reach your target audience. That’s something other media, such as social media ads and other digital marketing methods, may not deliver. 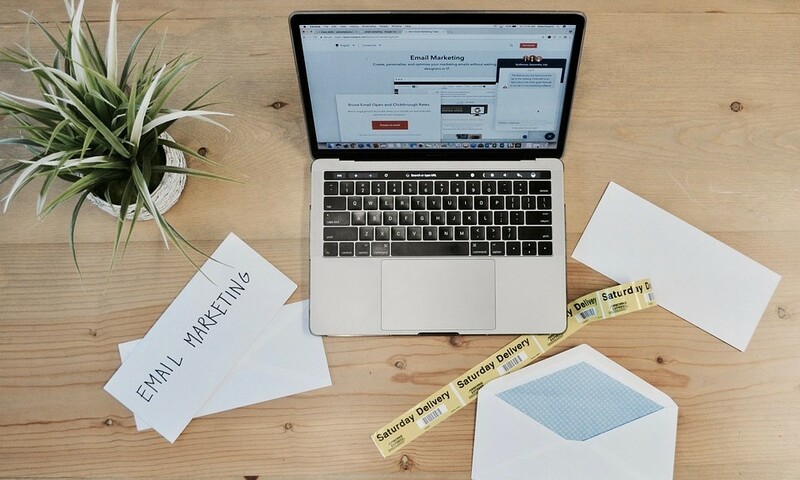 If you’re planning to send out emails en masse, it’s well worth exploring some of the most popular email marketing tools such as MailChimp and Benchmark. They make it much easier to design visually appealing messages that will capture the attention of your target market. You can also automate much of the process and measure the success of your campaigns against a range of metrics. A good marketing email will address the recipient by their name and use friendly and informal language. If you are targeting prospective customers in more than one foreign market, you must adapt the language, the format, the images you use and even the colours to meet the cultural expectations of every audience. It should go without saying that if you plan on sending emails to thousands of customers in a new market, you must use professional mother-tongue translators to make sure that every message is word perfect. Any mistakes you make will damage the trust of consumers potentially irreparably and have a lasting impact on sales. If you plan on taking multilingual email marketing seriously, it’s essential you segment the campaign based on the objectives of your business (e.g. launch a new product, build loyalty, create a subscribers list etc.). You must know exactly which emails have been sent to customers and when to create a cohesive campaign. You will not create the perfect multilingual email on the first attempt. It takes time to create messaging that optimises open rates and conversions. Even something seemingly as simple as the subject line will have a huge impact on whether the email is opened and read or immediately trashed. Measuring the effect of every little change will allow you to fine-tune your email to create a cost-effective conversion machine. Is 2019 the year you turn your small business into a growing international operator? At Linguistica International, we’re ready and waiting to translate your multilingual emails into more than 200 languages. Call 02392 987 765, email info@linguistica-international.com or try our quote generator today. Selling your products overseas is a fantastic opportunity, but it’s not a walk in the park. Expanding into new markets often comes with a number of requirements that differ from region to region. Multilingual product labelling is one requirement that businesses have struggled with in the past. Non-compliant labels can lead to shipment delays that leave your products and your customers in limbo and cost your business money. To help you expand into overseas markets with ease, we’ve compiled a number of multilingual product labelling tips, including common product labelling problems and the fixes you can put in place to ensure your products make it over the border. A translation error on a product label is more than just a mishap. Instead, it’s a barrier that could keep your products out of new markets and even potentially expose your business to legal liability. Given the potential severity of the consequences, translation errors are surprisingly common (as you can see from these disastrous examples), particularly when businesses choose to cut corners with Google Translate. All it takes is a very simple mistake for a business to land itself in very hot water. As an example, one business translated the ‘may contain nuts’ warning on its UK packaging to ‘Peut contenir des noix’ for the French market. The problem was that ‘noix’ translates as ‘walnuts’ and not the generic tree nuts that many people are allergic to. You don’t need us to tell you how serious that error could have been. Food allergies are a hot topic these days and rightfully so given just how serious the impact of failing to label products properly can be. Food labelling regulations are designed to ensure that businesses provide customers with information to keep themselves safe. The trouble is that labelling laws vary by country. In the UK, the fresh food labelling laws are soon expected to change as a result of the recent and tragic Pret a Manger case when Natasha Ednan-Laperouse died after eating an unlabelled baguette containing sesame seeds. Sesame seeds are actually a good case in point. In the United States, sesame seeds are not required to be listed as an allergen. However, they are in Europe, Canada and Australia. With so many different regulations in play from one region to the next, it’s easy to see how allergen information could be missing or improperly listed for particular markets. There are all sorts of product labelling compliance issues that businesses need to be aware of. For example, in the EU, there are universal standards for font sizes to ensure all fine print can be read. Multilingual product labelling makes compliance even more of a challenge because the more markets you enter, the more rules there are to comply with. 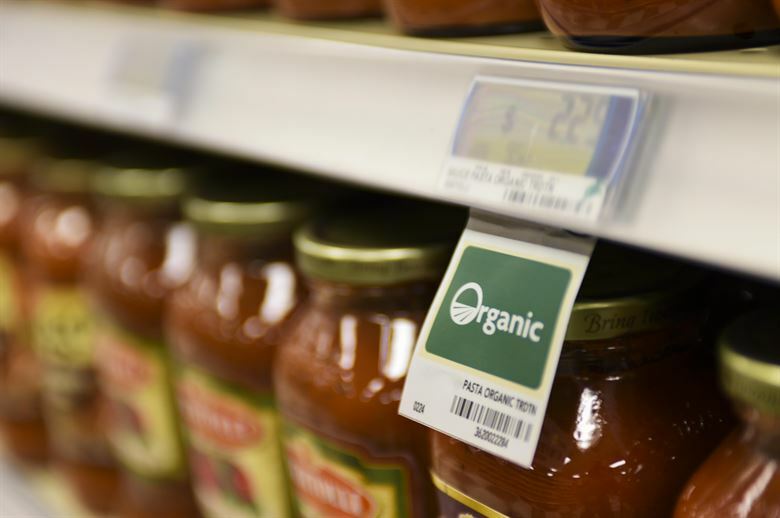 Fortunately, there is a simple fix you can put in place to resolve some of these common multilingual product labelling issues. If you do make one of these common multilingual product labelling mistakes, we can produce compliant over-stickers that can be used on your products so they can be delivered without delay. 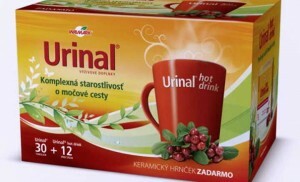 We translate the original label into the target market’s language. We can even create multilingual over-stickers if your products are destined for a number of different regions. You can then check the labels are compliant in your target market. The labels are desktop published and printed before being stuck to your products. At Linguistica International, our team is on hand to create accurately translated product labels and over-stickers to meet the most demanding deadlines. To discuss your requirements, please call our team on 02392 987 765 or email info@linguistica-international.com. We often hear of the plight of the latest animals that have been added to the list of endangered species, but rarely do we take the same interest in languages. According to UNESCO, there are an estimated 7,102 languages spoken around the world today, of which 2,301 are spoken in Asia and just 286 in Europe. Of all those languages, around 2,000 are spoken by fewer than 1,000 native speakers, which places them firmly into the endangered category. But while the loss of languages is nothing new, the rate at which languages are dying out is greater than it has ever been before, with 3,500 languages expected to become extinct by the end of this century. Why are languages dying at an unprecedented rate? Historically, there are many different reasons why languages die out. Civil conflicts, natural disasters and world wars are all responsible for the loss of indigenous languages. In the 21st-century, the loss of languages is more likely to be the result of native speakers dying out or shifting to another language. 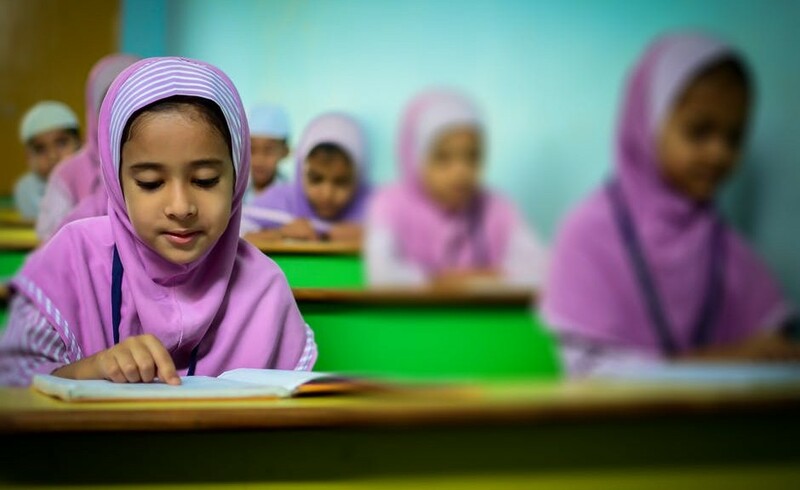 A common example of language loss in action is migrant parents who pass on their native language to their children, who in turn go on to favour the dominant language of the country they live in to avoid socio-economic disadvantages and even discrimination. The internet has long been considered one of the primary contributors to language loss. It relies on just a handful of dominant languages (primarily English, Mandarin and French), which prompts people around the world to abandon their own languages in favour of those that are popular online. Although the internet has been part of the reason why so many languages are endangered, it is also helping to save them. The Living Tongues Institute for Endangered Languages is one not-for-profit organisation that is working passionately to protect these languages. It publishes scientific papers, conducts linguistic fieldwork and equips locals with the resources they need to document their own indigenous languages and create online talking dictionaries. Another initiative working to preserve indigenous languages around the world is The Endangered Languages Project. Partnered by Google, the web platform encourages language enthusiasts and professional linguists to sign up and upload language samples in text, audio and video format to a huge database with a simple search function. The online language-learning platform Duolingo has also diversified its offering in recent years to help contribute to the preservation process. It is focusing on Native American languages such as Navajo and is encouraging thousands of young people to learn the languages of previous generations. In Africa, many native languages are no longer being taught in schools in favour of English, French, Portuguese and Mandarin, with the hope of ensuring a better socio-economic future. Of course, that comes at a cost, with many younger Africans losing their grasp of the continent’s 2,144 indigenous languages. To tackle this, younger Africans are using technology to empower parents to teach their children indigenous languages. YouTube is one platform that’s being used to create tutorials that teach parents the importance of passing their language on and how to teach their children effectively. With smartphone adoption on the rise, African entrepreneurs are also creating voice-based messaging apps that allow people to communicate in their native tongues. With literacy rates still a problem in some parts of Africa, this allows people to communicate in a modern way without snuffing out indigenous languages. At Linguistica International, we can translate, transcreate and produce original copywriting in more than 200 languages around the world. Call 02392 987 765 or email info@linguistica-international.com to discuss your requirements with our team.